This map comes from the Detroit Geographic Expedition and Institute (DGEI) Field Notes 4, which appears to be after William Bunge left Wayne State University and his name is not on any of the materials. This map features data from a few surveys of property conditions and blight ratings. 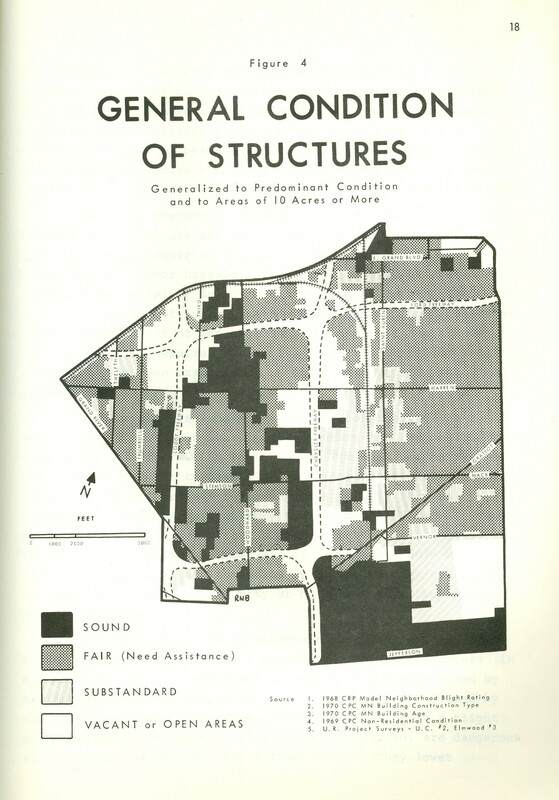 The DGEI began focusing on specific communities and neighborhoods in Detroit that were experiencing the ill effects of “renewal.” This particular report focused on the Trumbull community which saw a disproportionate lack of police even with its proximity to WSU and the increasing funding being garnered by the WSU Police Department, the loss of a public playfield (Mattheai) to WSU sports facilities, and the general lack of recreational space.